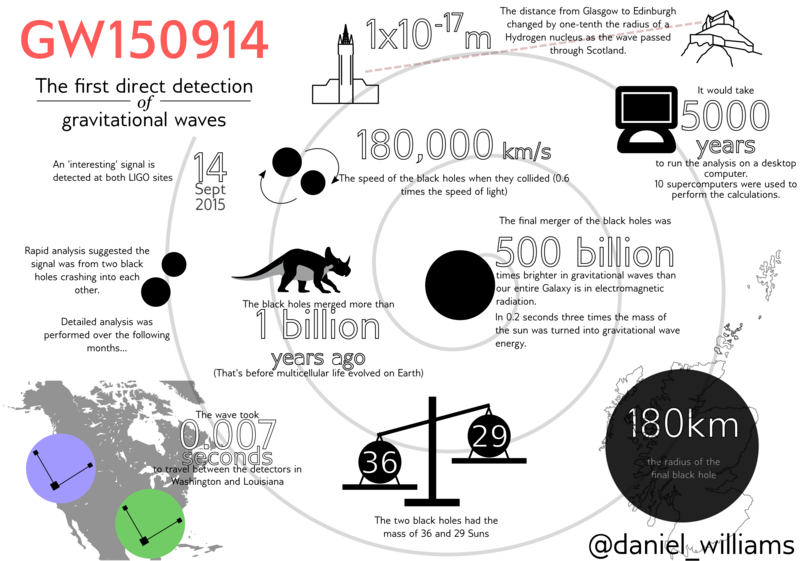 Graphic by Daniel Williams / LIGO Scientific Collaboration. 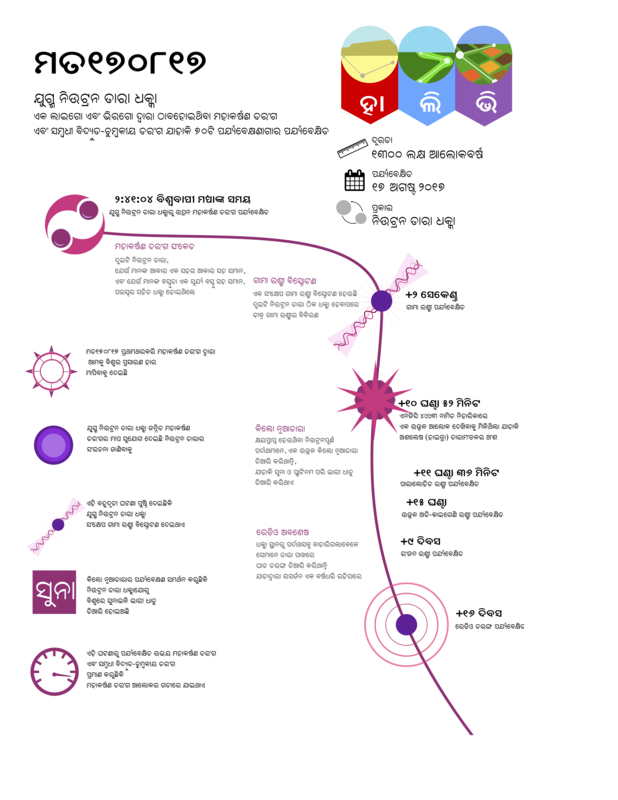 if the image is used in print media, and a similar by-line, but with a link to this page if used online. 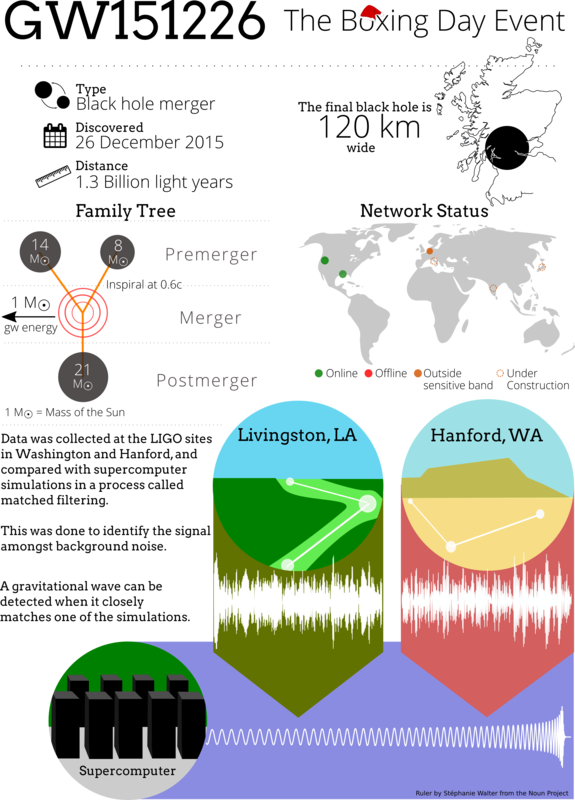 If you wish to use the image on Twitter I'd appreciate attribution to my Twitter handle, @daniel_williams and to the LIGO Twitter handle, @ligo. 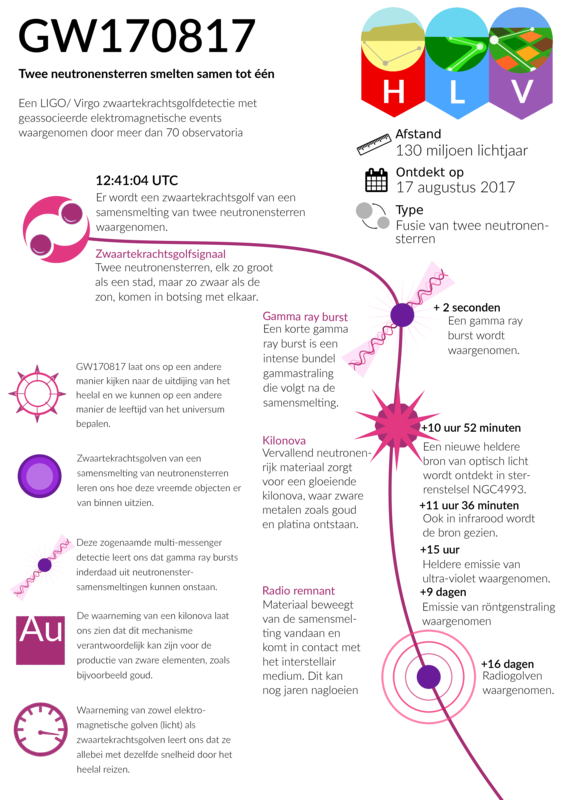 It's entirely optional, but I'm always keen to know how these get used, so if you could drop me an email or a tweet letting me know I'd be very grateful! 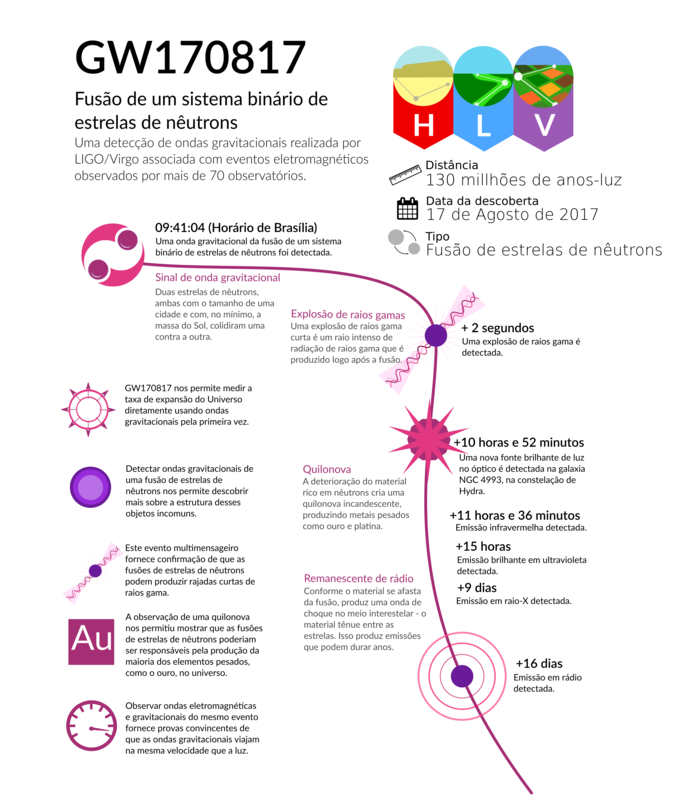 GW150914 was the first detected gravitational wave, produced by two colliding neutron stars around 1 billion light years from the Earth. 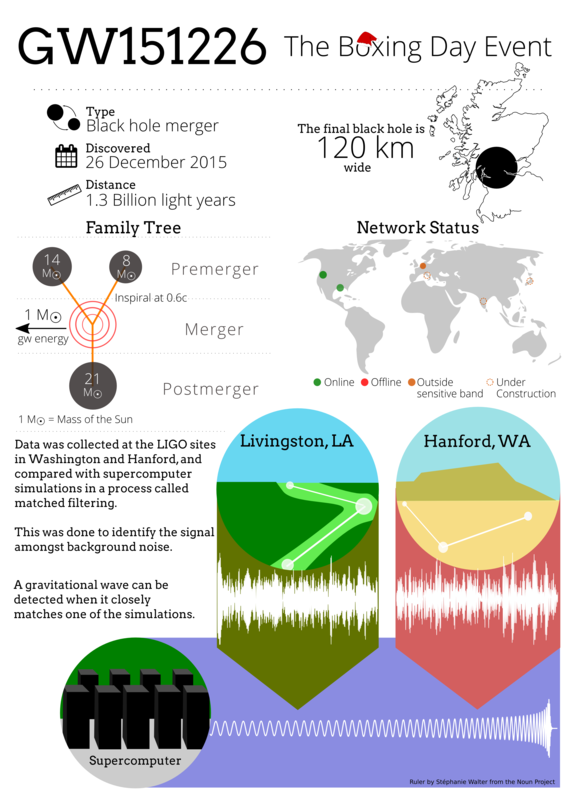 GW151226, the second confirmed gravitational wave event detected by LIGO, arrived at Earth on 26 December 2015, and swiftly became known as the 'Boxing Day Event'. 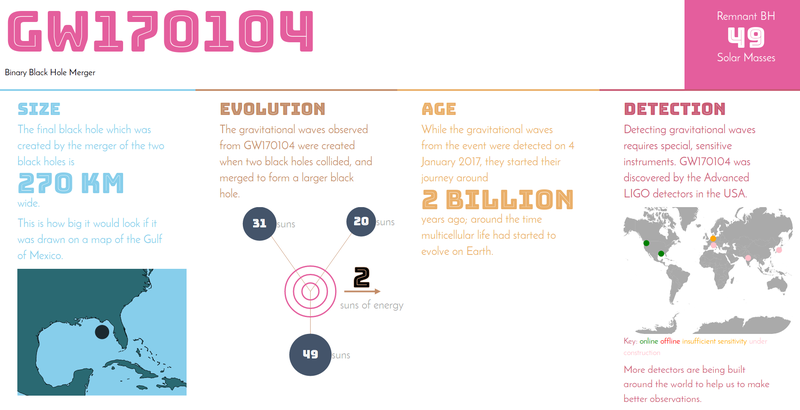 GW170104 was the first gravitational wave event to be detected during the second observing run of the advanced LIGO detectors. GW170814 was the first gravitational wave event to be observed in three detectors, both advanced LIGo detectors, and the advanced Virgo detector. 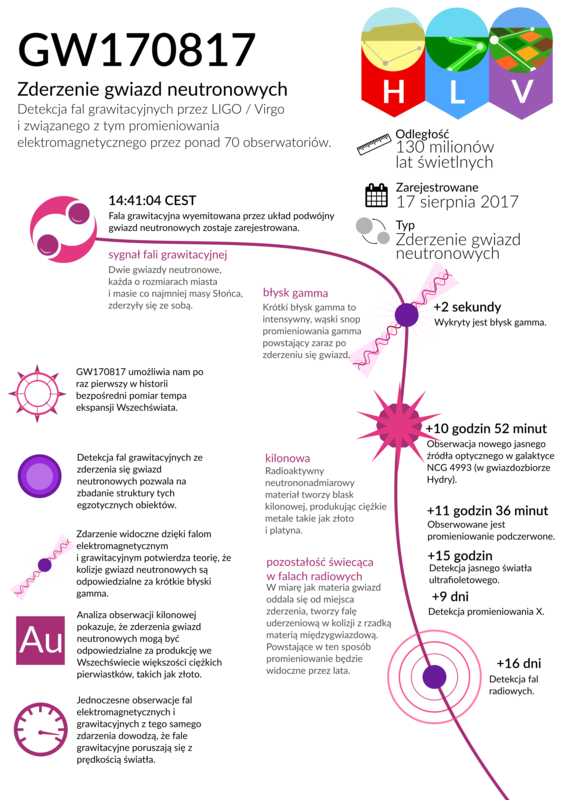 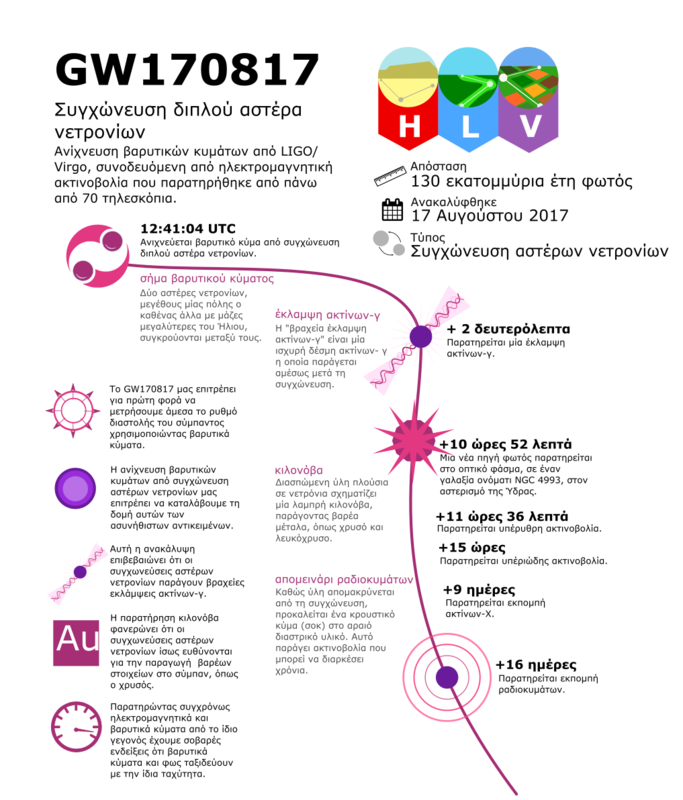 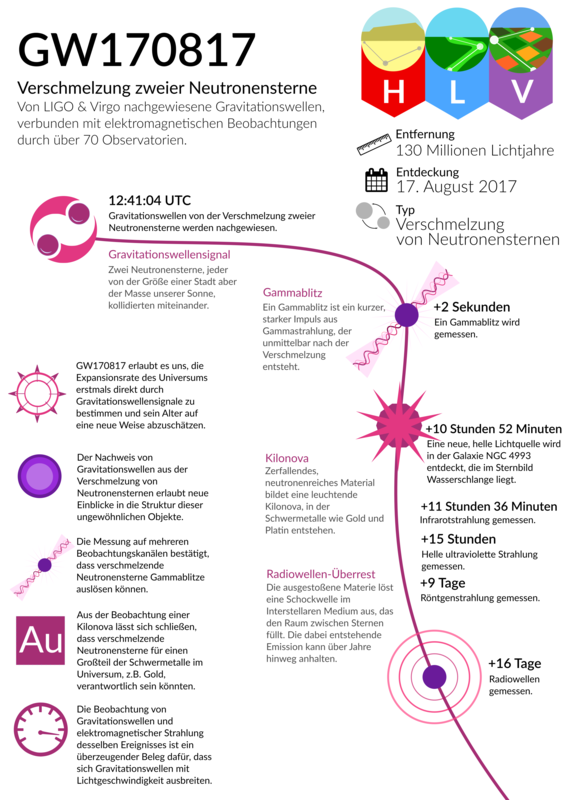 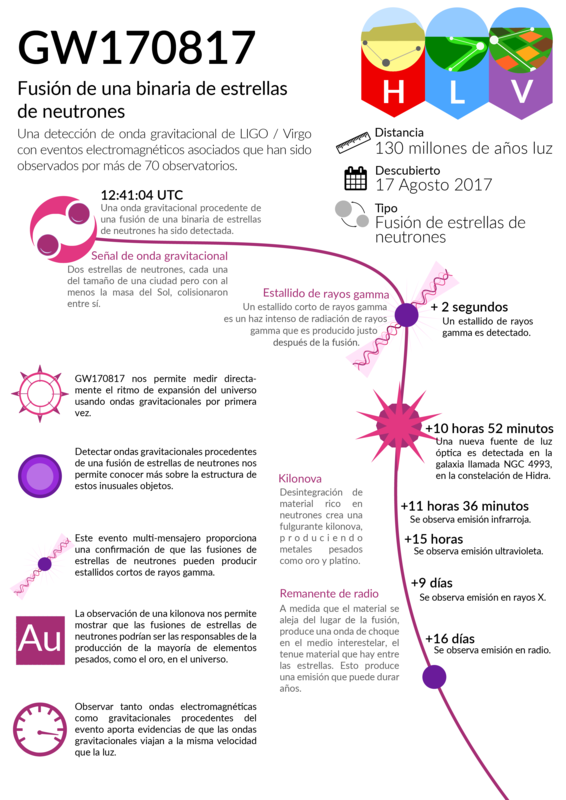 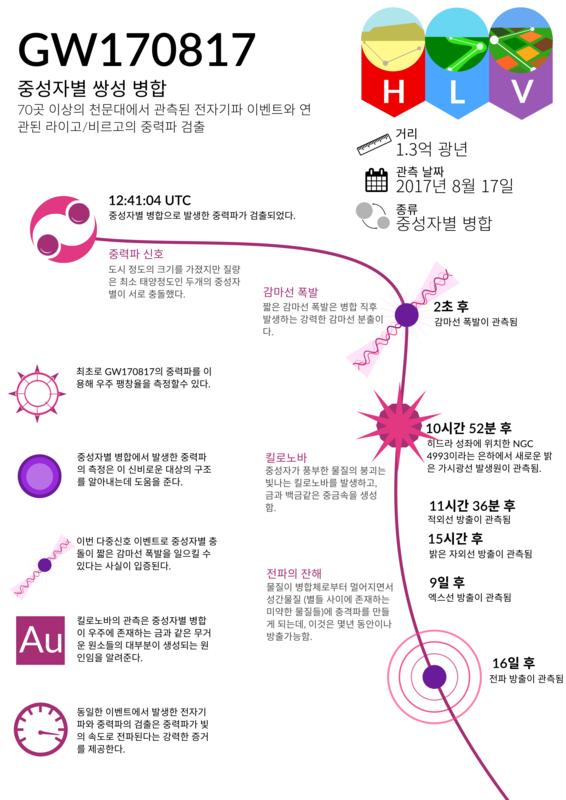 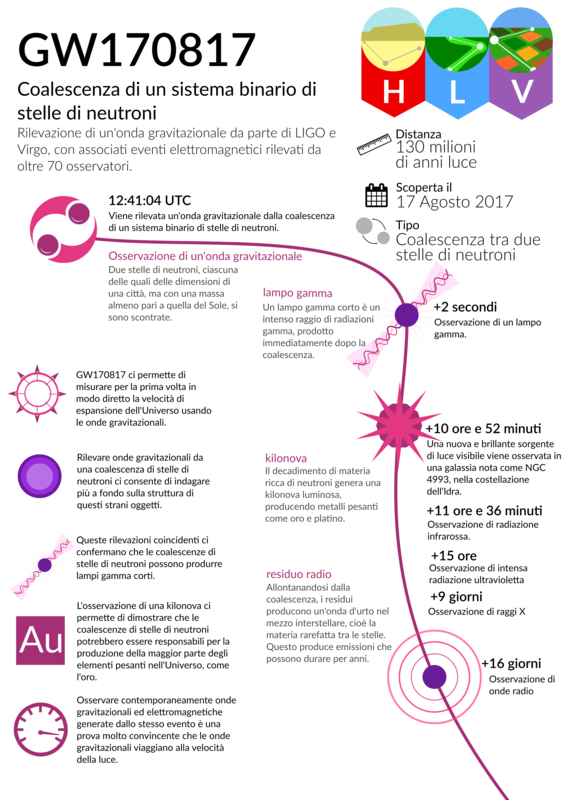 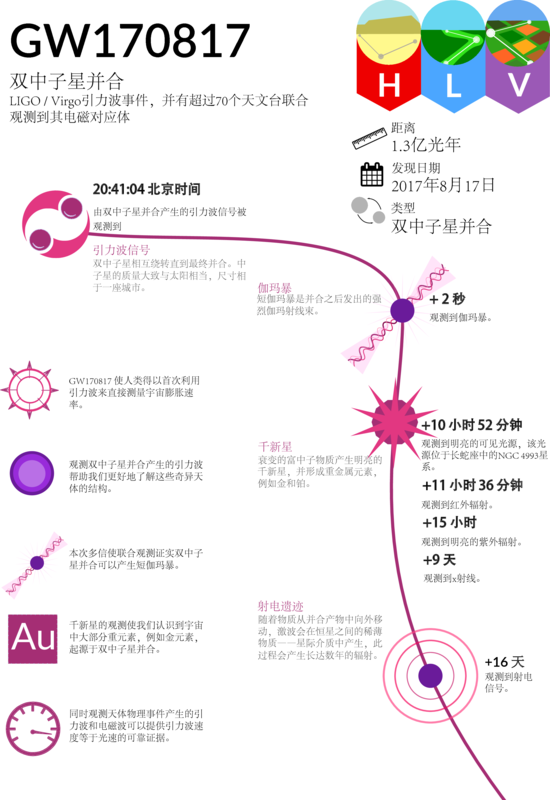 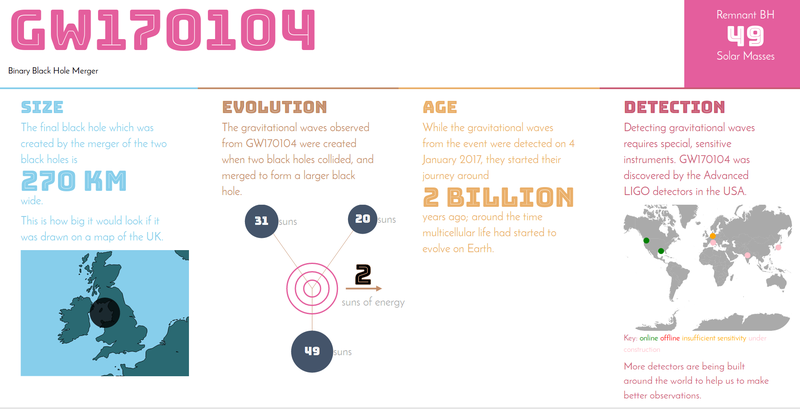 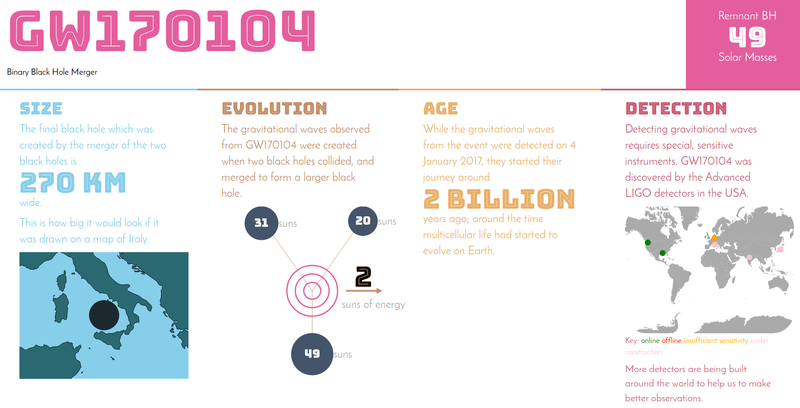 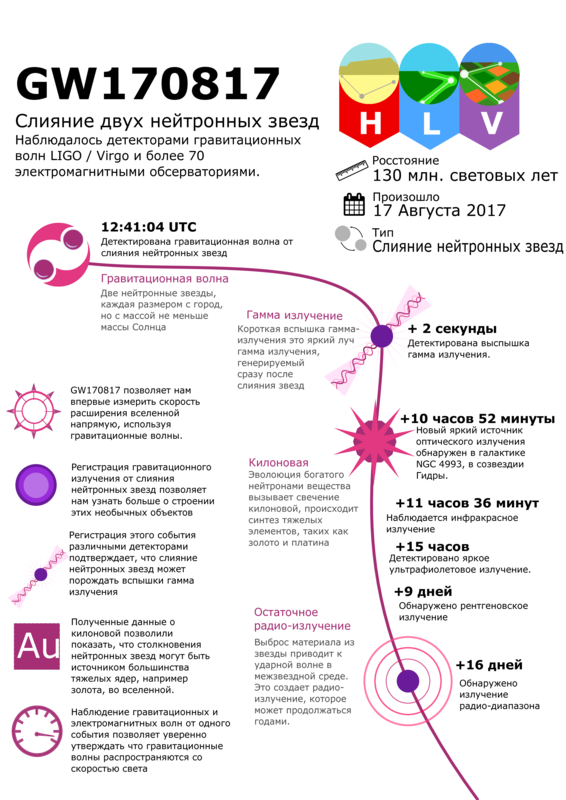 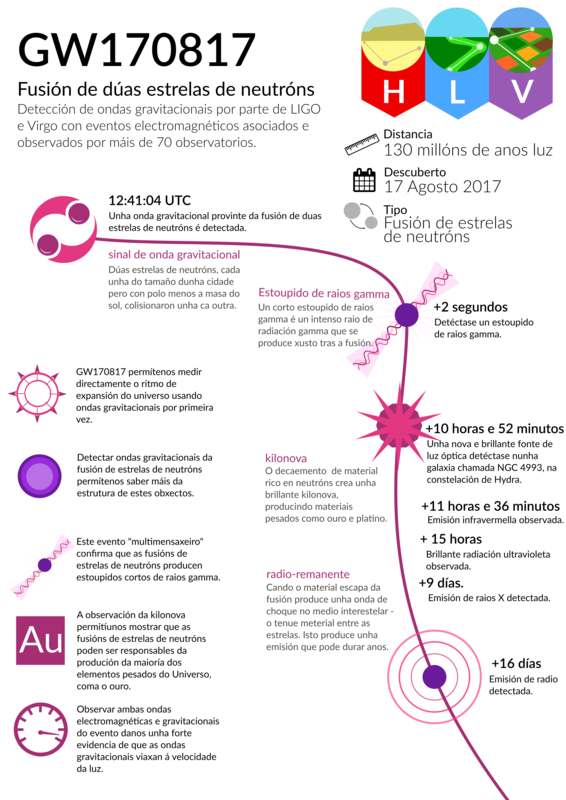 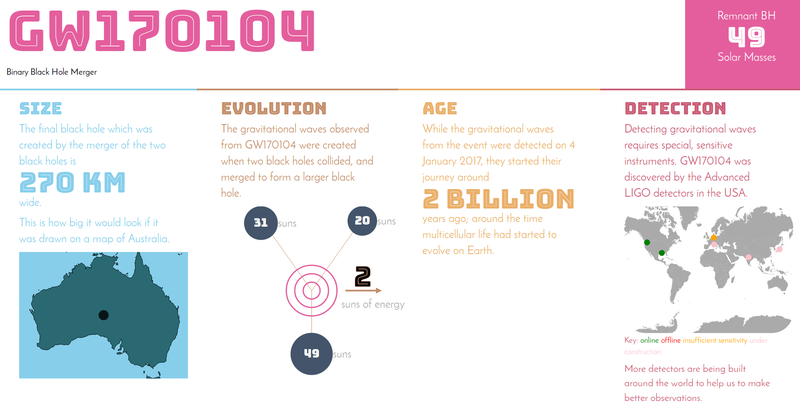 A single-page summary of the major discoveries from the gravitational wave event GW170817, including a timeline of the multi-messenger observations and important times and dates associated with the event. 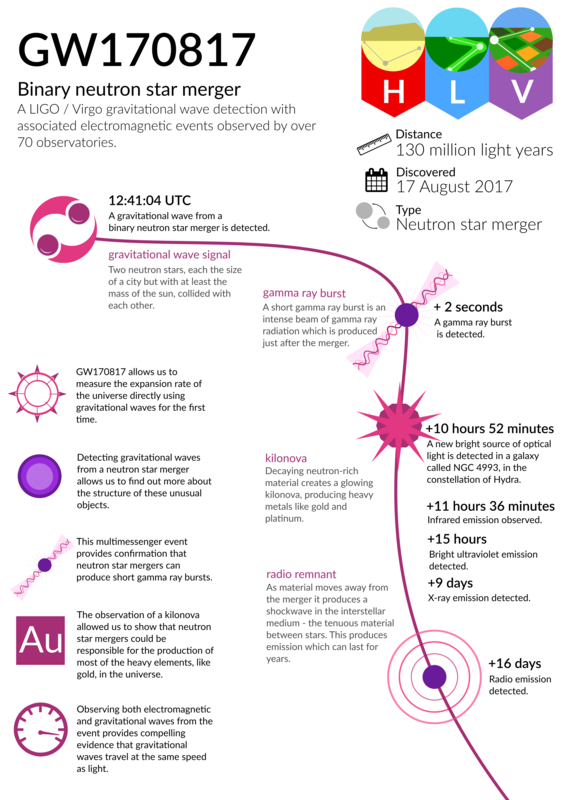 These are various bits-and-pieces of images, mostly from the infographics, which you might want to have without the full infographic. These are the little cartoons of each of the gravitational wave detectors which normally make up part of the detector pennants on the infographics. 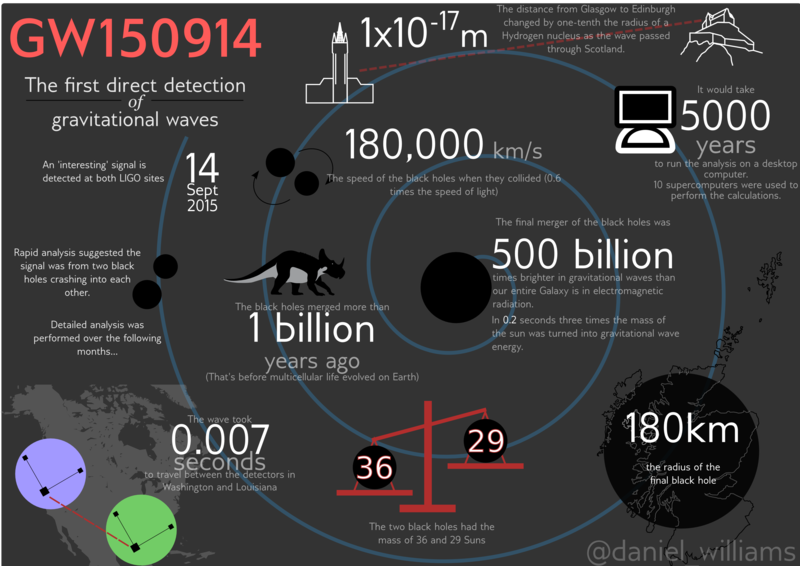 I'm a research student working in the Institute for Gravitational Research at the University of Glasgow. 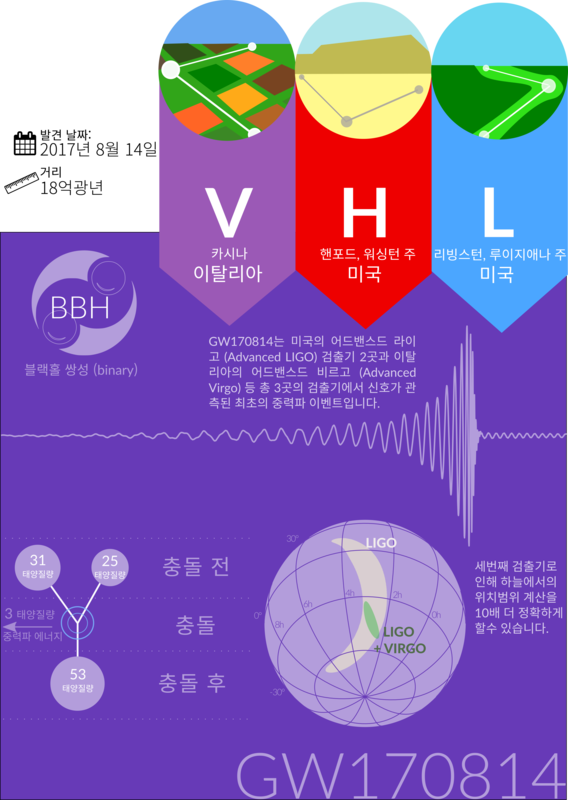 Opinions are my own, and may not be representative of the University of Glasgow, or the Ligo Scientific Collaboration.